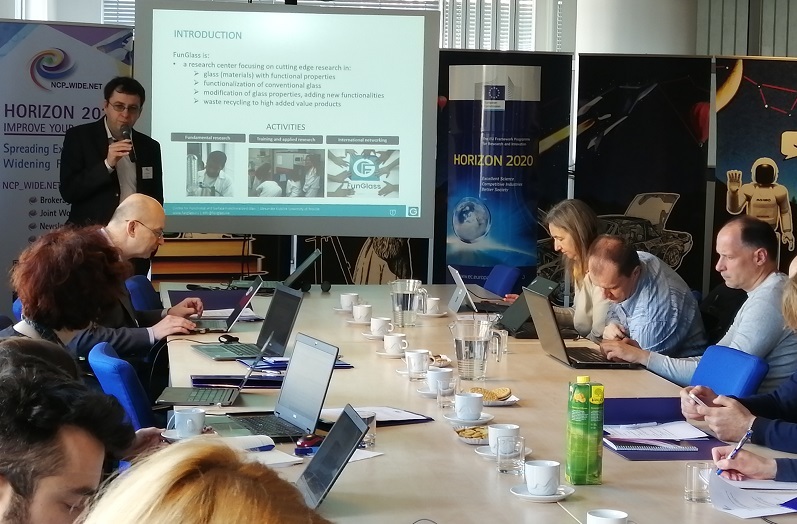 FunGlass centre accepted the invitation to attend the Workshop on Tools and Developments for National Contact Points (NCPs) for Horizon 2020 programme that took place on March 20th and 21st in Bratislava at the premises of Slovak Centre of Scientific and Technical Information (CVTI). The workshop was dedicated to good project proposal writing and IPR issues in H2020. Dr. Peter Hošták presented activities of the Centre, its history, objectives of its Horizon 2020 teaming project FunGlass and shared best practices related to grant proposal writing and IPR management in project implementation.